On some level, the 2015 Stanley Cup Final must have evoked feelings of jealousy among Penguins’ fans everywhere. 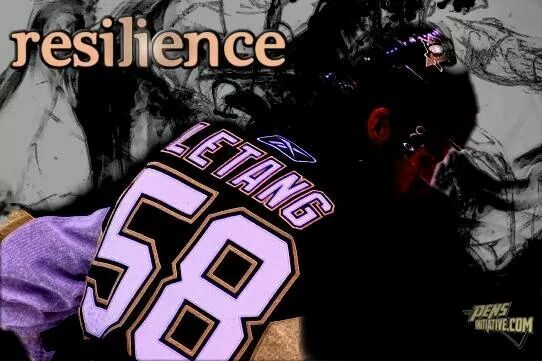 Essentially, the series pitted a squad embodying what Pittsburgh represented a few years ago against the club currently writing the resume once reserved for the Pens. On one side, the Lightning find themselves potentially set up to dominate the Eastern Conference for years to come. Meanwhile, Chicago just continues to carve out a place in hockey history after capturing a third championship in six seasons. Thus, heading into the off season, the question in Western Pennsylvania becomes “How can the Pens right the ship and rejoin the ranks of the NHL’s elite?” Clearly, significant changes need to made, right? Because, with all due respect to fan bases in Toronto, St. Louis and Buffalo, six years without a Cup is simply unacceptable. Almost as soon as Pittsburgh bowed out in the first round to the Rangers, the rumor mill began churning out speculation that the Pens’ core would finally be broken up. Various articles and outlets suggested, for example, it was time to part ways with Kris Letang or that Evgeni Malkin would welcome a fresh start somewhere else. Jim Rutherford, however, won’t move any of Pittsburgh’s top-end talent. At least, he shouldn’t. Yes, breaking up the core would shake things up. What’s more, such a trade would likely yield multiple assets. Would it really make the Penguins a better team, though? Not likely. Moving either Letang or Malkin means the Pens would surely surrender the most talented player in almost any deal, creating a void in the Penguin’s lineup unlikely to be filled by whatever return Rutherford ultimately accepts. In fact, moving Letang would represent one of the worst moves Pittsburgh could make. Despite health concerns, the defenseman’s ability to eat up close to 30 minutes per night makes him invaluable for a club prepared to implement a youth movement along the blue line. His ability to handle the heavy lifting will help ease the growing pains for some of the youngsters while his dynamic play will make life easier for the forwards and help facilitate the team’s transition game. Meanwhile, moving Malkin would mean giving up on a generational talent capable of pacing the circuit in scoring, someone who has proven he can carry a team on his back and an individual possessing enough talent to singlehandedly alter the outcome of a game. In short, he’s not the kind of player a team moves in an effort to shake things up or address any depth issues. Yes, the Penguins need to retool parts of their roster. But they don’t need to break up the core to do it. Much to the delight of Pittsburgh’s advanced stats community, the time has come for the Penguins to explore a deal that will move Brandon Sutter. It’s not necessarily, however, a move rooted in possession numbers or replacement level value. No, moving Sutter simply allows for the most likely route to the Pens’ acquisition of a top-six forward. Admittedly, the pivot alone may not fetch a top-tier winger but he could represent an attractive center piece in a package headed to the right club. Because, in the end, the 21 tallies he potted last year, a penchant for netting crucial markers and a sense of durability could make Sutter a coveted commodity for a team in search of depth down the middle. While shipping Sutter out as part of a package isn’t likely to yield much of a star in return, it could provide the Pens with a legitimate winger qualified to flank one of the club’s superstar centers, something the team desperately need. And, given the lack of other expendable assets at Rutherford’s disposal, it’s a move at least worth exploring. Depending on how strongly Rutherford prioritizes finding two top-six forwards, this may not prove feasible. But it is something that should be addressed, if not this summer, then certainly before the trade deadline. Assuming Rutherford retains Ian Cole, the Pens’ (current) top-four entering the season figures to consist of Kris Letang, Olli Maatta, Derrick Pouliot and Cole. And, while it’s certainly plausible that the quartet will perform adequately, there’s certainly room for an upgrade there. Even more concerning, a lack of depth behind those four leaves little margin for error if and when the injury bug bites. Adding a single rearguard, though, could work wonders for the Pittsburgh blue line. Not only will adding that top-four defenseman bolster the top of the lineup, but it will also push Cole down to a bottom pairing, a role that will allow him to excel alongside (hopefully) a youngster finally primed to log consistent ice time at the highest level. Most importantly, it allows Cole to serve as a sort of insurance policy, someone capable of stepping up, filling in and eating up more minutes whenever necessary. As we touched on above, the Penguins appear poised to embrace a sort of youth movement, particularly on the backend. It’s one reason the club will reportedly part ways with both Paul Martin and Christian Ehrhoff. And, it’s one reason Pittsburgh should shed Rob Scuderi from the lineup, as well. When Ray Shero brought Scuderi back to Western Pennsylvania, he envisioned filling a void he perceived since, well, Scuderi departed for Los Angeles after the 2009 Cup run. That hope, however, went largely unfulfilled. After a relatively solid start to his second stint with the Pens, a broken ankle derailed Scuderi’s 2013-’14 campaign. After a lengthy absence, he struggled to get back up to speed. And, while his play improved this year, it’s hard to visualize his ceiling as much more than that of a bottom-pairing defenseman. Now, think of the Pittsburgh blue line as divided into a sort of hierarchy. At the pinnacle, Mike Johnston can deploy an elite duo in Letang and Maatta. Below them, Pouliot and Cole can ideally serve anywhere from # 3-5 on the club’s depth chart. Finally, at the base, Scuderi and Ben Lovejoy provide a veteran presence to go along with the youth and inexperience of Brian Dumoulin, Scott Harrington and (possibly) Taylor Chorney. Of course, the looming logjam at the base of this hierarchy grows more significant if Rutherford actually adds that other top-four defenseman prescribed above. Now, if the Pens truly want to embark on a youth movement, they need to allow their younger players to round out the bottom of the team’s defensive unit. Give them a chance to learn the game at the highest level while sheltering their minutes. It’s no secret that general managers will have a relatively weak crop of free agents to select from this summer, particularly at forward. Still, that won’t stop desperate teams from throwing money around in the hopes of hitting a home run. The Penguins, however, shouldn’t be one of them. Yes, in a perfect world, Pittsburgh will add multiple top-six forwards to its roster this year. So, clearly, Rutherford would strike gold if he finds value in one of this year’s “top” free agents who ultimately fits the squad’s needs. But the last thing the Pens need is for Rutherford to outbid his peers in free agency, hoping to shove a square peg in a round hole. And, with few (if any) forwards seemingly worth high-dollar, long-term deals this summer, Rutherford would be wise to shy away from such commitments. Instead, he should search for quality depth, for multiple players capable of moving around the lineup. Look for individuals who fit with what’s in place rather than the biggest names that might fill a top-six role. After all, the Penguins can always explore adjustments after evaluating what they have as the season rolls along. In the end, there’s no need to address every perceived issue before the season even begins.